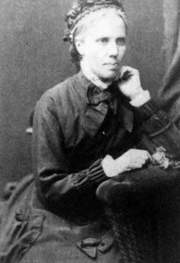 Elizabeth Moir was born in Burnside of Dun around 1834. Having been brought up in the hamlet she left in her late teens or early twenties. Later she worked as a nurse in Edinburgh and in England. I do not know whether she went back to visit Burnside or based this poem on her memories. Auld Homer is another resident of Burnside, Homer Cruikshank (1791-1881). Wi' mony a joke and sang? Wha mony a year did bide?